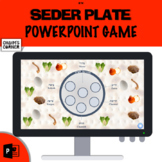 Kids can create, design, and decorate their own Seder plate along with learning about the importance of all the specific items that are on the plate. 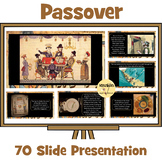 Also included in: Pesach Bundle! 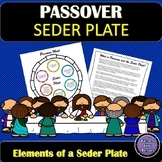 Printable coloring page of an example seder plate for the Jewish holiday of Passover ("Pesach" in Hebrew). 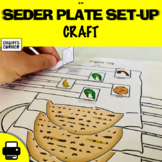 Coloring page includes drawings of the items that are placed on the plate, along with the names of each item in English and transliterated Hebrew. 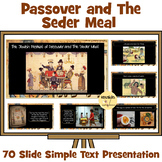 Perfect activity for teaching children about the Seder Plate come Passover time. 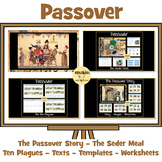 Students of all ages will learn about all the basics of Pesach, with a focus on the seder plate and the reason behind each of the six symbols. 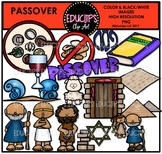 Pesach word find added as a free bonus! Kids will love to learn through these worksheets and activities. Some proficiency in Hebrew reading required.